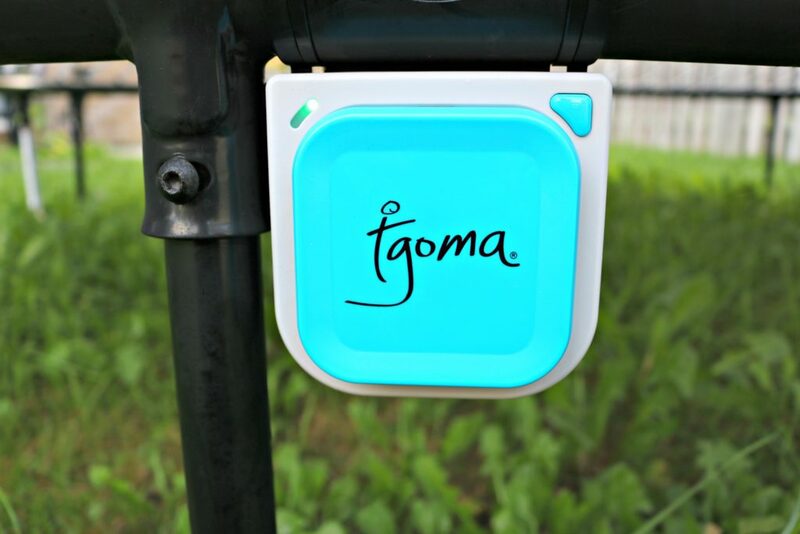 You are here: Home / Product Reviews / Babies & Kids / Get Your Kids Excited About Outdoor Play with the Springfree tgoma System! Get Your Kids Excited About Outdoor Play with Springfree tgoma! My kids love to be active but, they also enjoy being inside watching movies or being on their electronics. There are only a couple more months of decently warm weather left and I feel like they should be out there enjoying the outdoors as much as possible. What if I told you that with Springfree’s tgoma you can do both, at the same time? While the girls love to be active at school and in extracurriculars, we have to get really creative to stay active at home. But, since we’ve had the Springfree trampoline, we’ve been able to stay active at home too. But, with kids love for technology, it can be a constant battle to find a perfect balance. 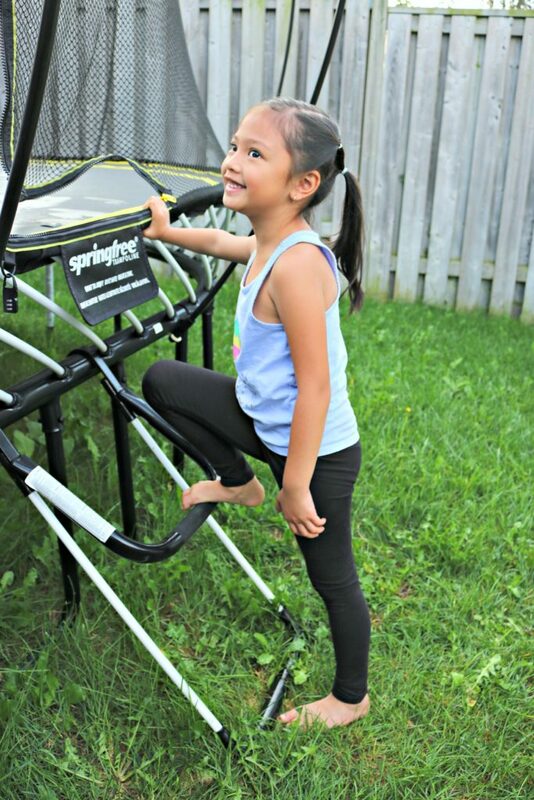 Read on to see how you can turn your Springfree trampoline into a smart trampoline and bring the joy of gaming and outdoor play together! 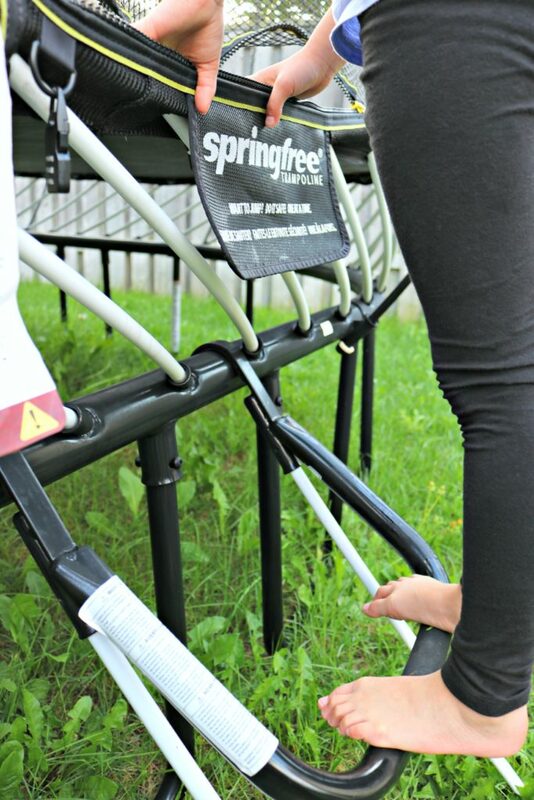 If you’ve been following along, you know we’re huge fans of the Springfree Trampoline. We’ve been having a blast on it since we got it and it’s been one of the best additions to our home. The tgoma stands for ‘Take Games Outside and Make them Active’ and it stands true to that statement. 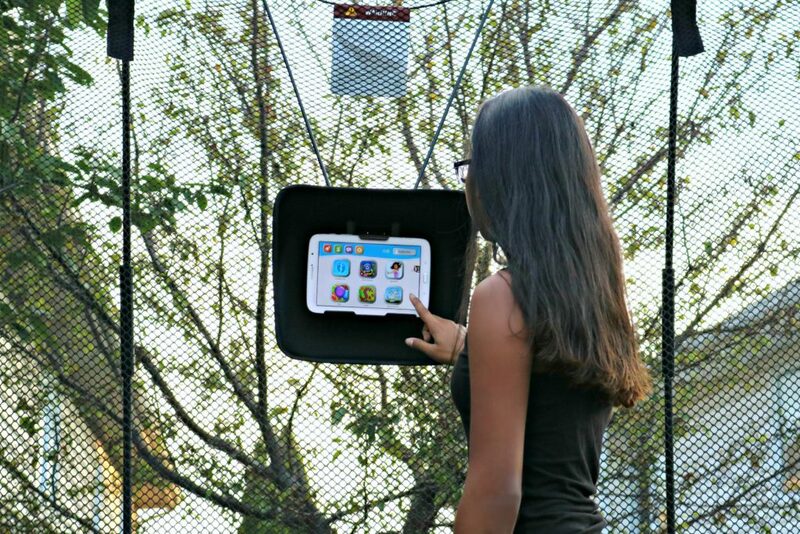 It pairs with the Springfree Trampoline, a tablet and essentially turns your Springfree trampoline into a big outdoor game. The tgoma makes the trampoline interactive. This means that the whole family can go outside on the Springfree Trampoline and experience pure fun. Plus, kids still get the satisfaction of playing on the tablet but, using their bodies to control the game. 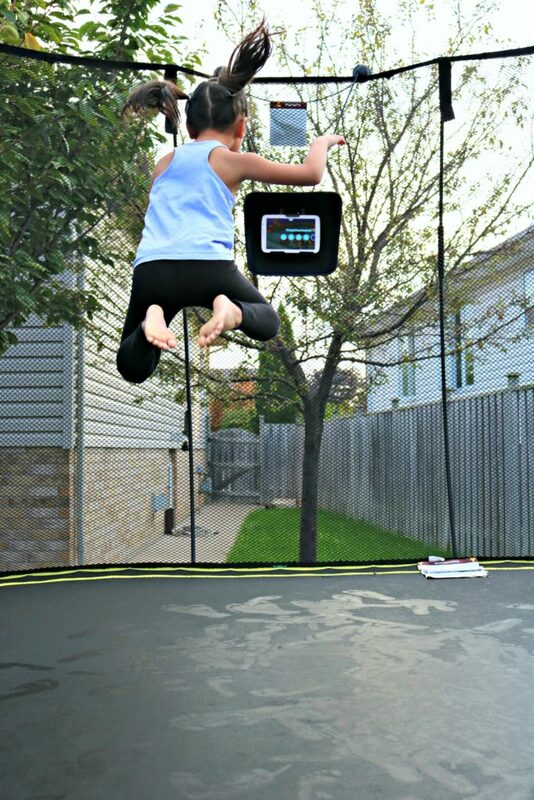 Keep in mind that the tgoma can only be used with the Springfree Trampoline, but just another great reason to invest in one of these. 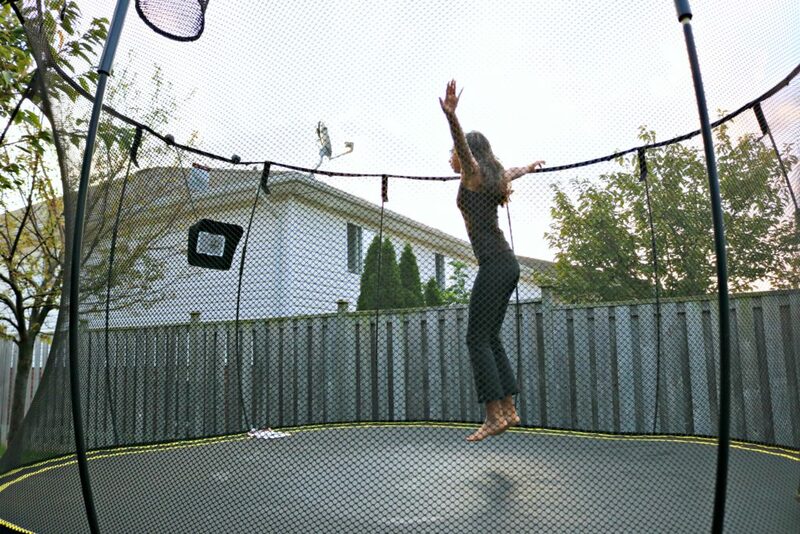 Sensor technology allows your family to turn their trampoline into an interactive paradise. You can use your own tablet to access the games. Just download the free tgoma app! This app is in the iTunes or Google Play store. tgoma offers a collection of educational games that teach math, language, problem-solving and trivia to make learning fun for your kids through active play. There are 15 games available right now and one of my favourite ones is the tgomaFit. It helps me to get active and helps Gabby to train and stay active to stay on top of her game for her sports. It can get pretty intense and it’s great exercise for those looking to change up their workout. Plus, it’s really cool that with most of the games, you can compete with one another or with other jumpers, worldwide. You can track your high scores and set and achieve your fitness goals too. One of the coolest parts is that you can add each person individually. That way, each person has their own profile and you can pick up right where you left off and you can try to beat your highest scores. The girls love taking turns and competing with each other! Our top pick for the family was Alien Stomp which is kind of like a life-sized whack-a-mole game for your feet. So fun! Well, the four sensors rest on the trampoline and this is what helps to get things moving. Those sensors connect wirelessly to your tablet. The tablet helps to create an outdoor interactive Smart Play experience. Just call it the Smart Trampoline because this high energy educational experience will get the whole family spending more time together. 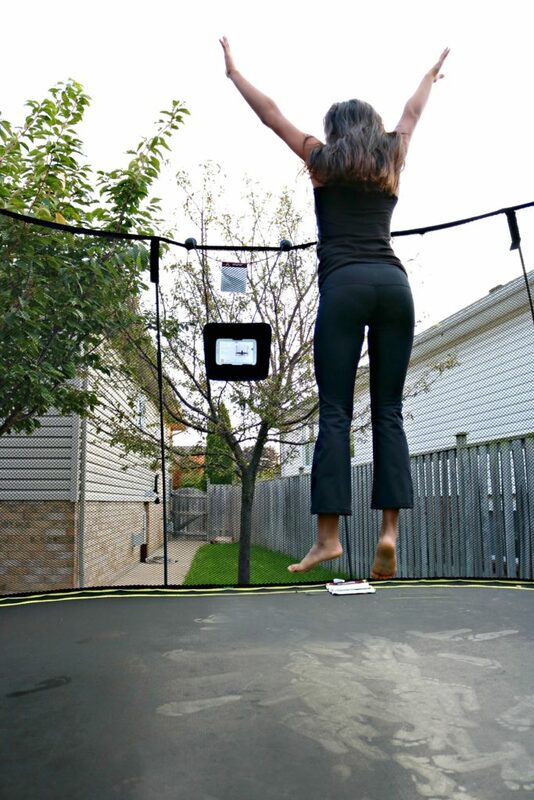 In order for it to work, you do need a Springfree Trampoline and an iPad 3 or newer. The screen size needs to be between 7 inches and 11 inches. If you have an Android Tablet, you need to have an operating system of 4.4 and above, Bluetooth 4.0, and screen size between 7-11 inches. Installing the tgoma system was fairly easy. It requires two people, one inside, one outside of the trampoline. 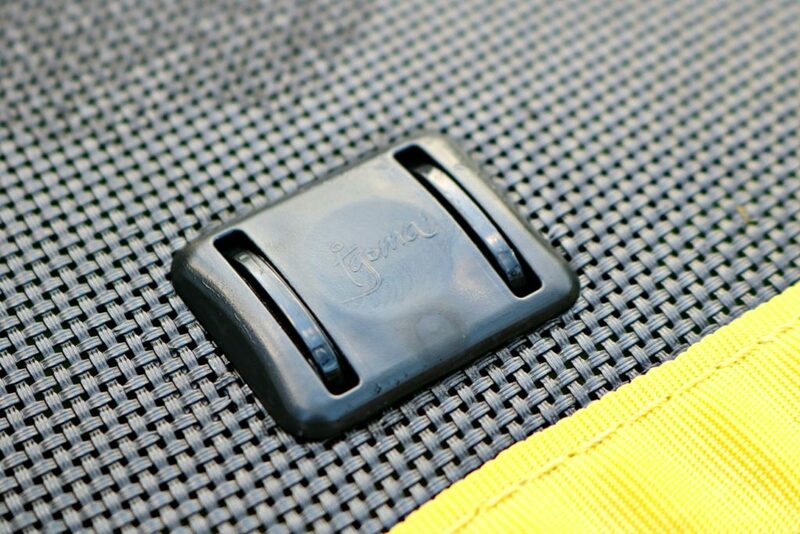 The kit comes with everything you need to turn your trampoline into a smart one. You install sensors and it helps you to weave and conceal the wires that connect to the control pad. Darasak did it mostly on his own and I helped with the outside work, which was just fishing through zip ties. Once we put up the safety net again, you wouldn’t even know that it is newly a smart device. tgoma = Take Games Outside and Make them Active! I’ll be honest, I never thought I’d see the day where we would be able to bring gaming outside. The game options available are awesome. There are fun games like Stickers, Whatzat, Math Hopper, and even tgomaFit that I mentioned earlier. Keep in mind that kids are spending more time than ever inside on their electronics. So, they know games. That’s why I think the tgoma is genius. It combines their love of gaming with their love of jumping on a trampoline. Plus, if your family is as competitive as we are, no doubt you all will have fun challenging each other. Sometimes you want to go outdoors and be a fit diva and other times you want to go outside to work on educational skills with the kids. I say enjoy the time with your kids playing these fun interactive games that get you moving. Besides, I love any excuse to get active with my kids. When it’s fun, it’s even better and I think that’s the best kind of exercise. We love technology, in fact, our home is slowly turning into a smart home. We have a lot of things that help with automation and make life simpler. But, now, we’ve even turned our backyard and trampoline smart. Take a look at this short video to see how the girls interact with the tgoma and how much they love it! The tgoma system works with newer models of Springfree and you can always add it onto your new Springfree purchase. The tgoma has been such a great addition to our backyard this summer. We can’t wait to keep using it throughout the fall and with the way the weather has been lately, we will be using it for a long time. The Springfree trampolines start at from $999 and up. Ours is a large square Springfree and is $2399. Since trampolining is a 3 season activity, it practically costs dollars a day to play and pay off. It really is a great investment to make, not only for the fun aspect but, for getting you and the kids outside and getting active. Plus, I don’t know many other activities that my kids can enjoy for just a few dollars a day each. We don’t only love it just for the exercise reasons alone but, it’s nice to get outside. We get fresh air, more Vitamin D and the kids are happy. Not to mention, they are always having fun, and they are definitely sleeping better at night because they’re getting great exercise. Did you know that just 10 minutes of jumping on your trampoline burns the same amount as if you were jogging for half hour? Count me in! Give your kids a reason to go outside and be active. Give yourself a reason to get outside and be more active. I promise you won’t be disappointed with tgoma. For more information, visit Springfree and get social and connect with them on Facebook, Instagram, Twitter, and YouTube! Would you want to combine gaming and the outdoors? Forget the kids, they get all the fun… *I* Want to play with this! It’s so fun and it’s a great workout too! 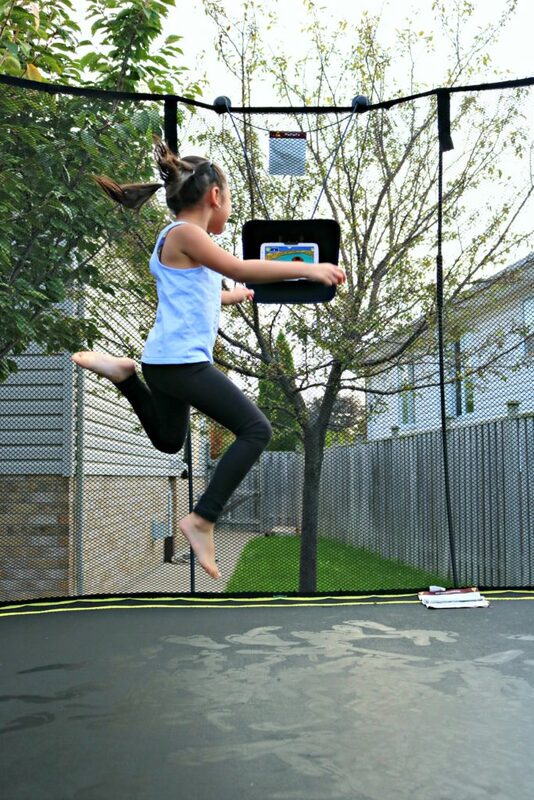 This is such a genius invention, combines all the fun of a trampoline with modern technology! It’s awesome! Safe and innovative! Your kid seems very into it. That’s cool! Better to teach and encourage kids to be active than letting them become lazy, and unfit. Yeah, my daughter does love it. Though I would never describe kids as lazy or unfit. 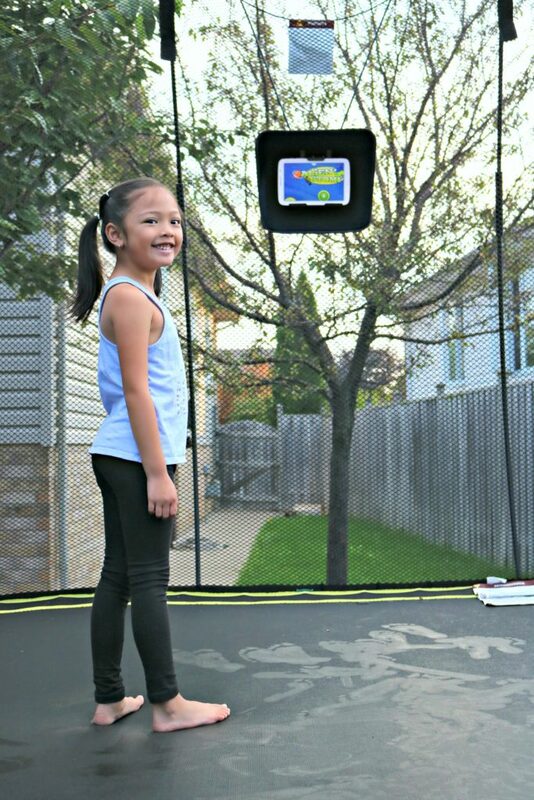 These trampolines are so great for getting kids outside and active and it’s even great for adults,have you tried it! It’s great for all ages! My hubby enjoys it too! This is super interesting. I have never heard of such. The kids would never come inside with one of these. I must get them one, lol. I would even enjoy it I think. Now is the perfect time to get one, when the weather is getting cooler and these terrible gnats are slowly going away. That looks like a lot of fun! It amazes me what kind of tech is out there for kids. A unique idea. It’s so fun and a very great way to keep active! 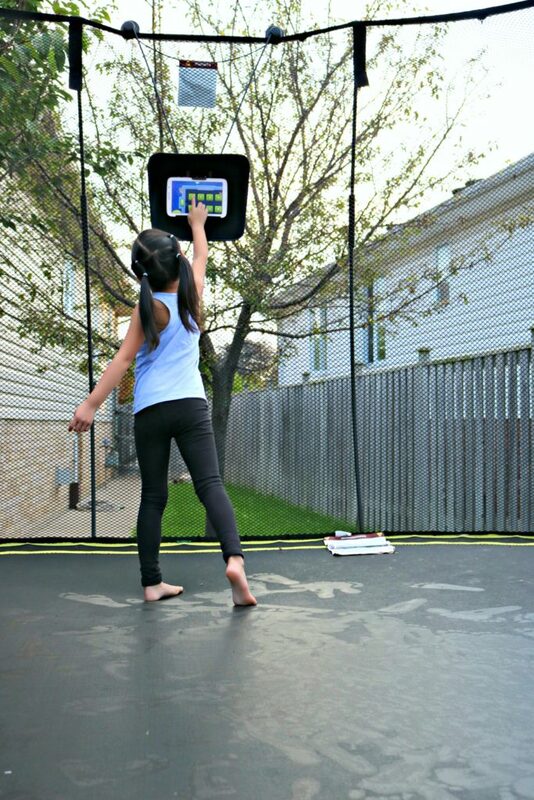 Not sure why one needs technology for their trampoline but I can see how this might be fun,. To increase the fun and to monitor your fitness. This looks like a great idea to keep the children entertained and exercising in the same time. It’s important these days to go and play outside, when most of the children prefer to stay in front of computers. It’s awesome I tell ya! My kids are barely on their devices and are outside more! I LOVED trampolines as a kid but we never owned our own home so we couldn’t get one. Are spring-free ones safer? I love the idea of doing interactive games! It’s the safest on the market! It’s so fun the kids and adults will love it! I want to try this out. I don’t have any kids but I do have some great nephew’s and nieces that would love this when they come visit their uncle. Wow! This is a great activity! Combining trampolining with smart technology sounds awesome! My grand kids, niece and great-nieces would love this! The best trampoline out there! Everyone will love it! What a great way to get kids to exercise. Looks like a lot of fun. I can’t believe 10 minutes burns the same calories as jogging for half an hour! I know right! It’s a fun and great way to get the kids outside and off their devices! LOL then this is the perfect system for them! That is amazing! I love the interactivity of it, and I ADORE the safety! Great idea. Yes, the safety is the best part for sure! OH Nancy! This looks super fun! WOW! I had no idea something like this even existed lol. I feel so clueless. My son would absolutely love something like this and he’s a teen! Way cool.. Gonna have to check this out more when I have a little extra time! Awesome, hope it works out for you. Well isn’t that really cool! The kids get to nicks technology with moving. We don’t have a trampoline but it is definitely something I would love to get if it keeps my kiddo moving! This is such a great concept and looks super fun. I’m keeping this in mind for holiday time! That is so cool! A number of our neighbors have trampolines. But nothing as advanced as this! This looks like so much fun for the entire family! Thanks for sharing. My friend is a Nurse and always told me about all the accidents kids have on trampolines. I was always nervous to get one for my Son. This system will be perfect. I will have to add it to my Christmas gift idea list. That is awesome. I was a bit apprehensive too but, seeing that this one is so safe–I was sold! Your son will be so happy! This looks like so much fun! My nephews would enjoy this. They’re very active and loves to jump and run around. Wow … the interactive aspect is super interesting! I love anything that gets my kids outside and active. Oh this looks so cool!! I kinda want to use it too. Here lately it has been a struggle to get my kids to play outside and this is perfect!! You can totally use it! I love this. It seems like a wii for outside! Haha. This is great to get the kids outside during the warmer months. It really is a 3 season activity. We are planning to jump until it snows! This is great to keep kids active! Such a great way to keep them off their gadgets, too! You have to try it next time! This looks so fun! I just new about Tgoma. Wow.. I am looking forward to buying this. 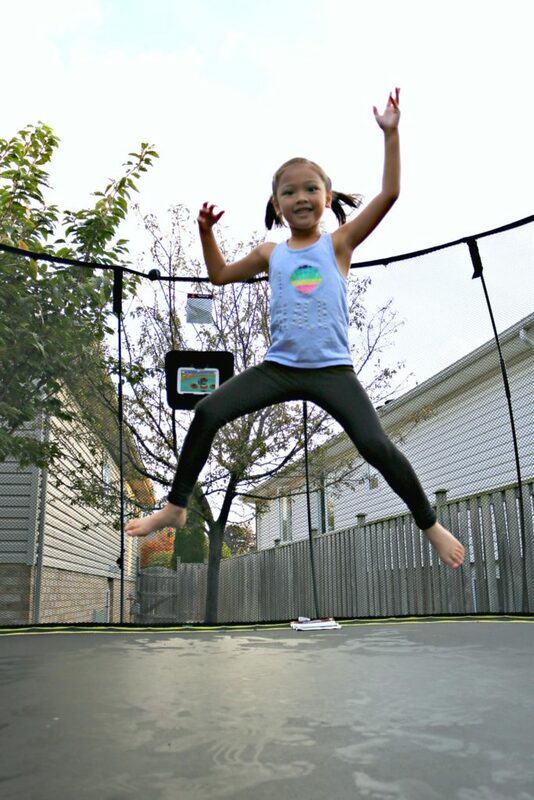 We love our Springfree Trampoline! It’s not just the kids either, everyone in the whole family plays on it! How darn fun is this???!!! My kids have been wanting a trampoline forever! It is a wonderful device to enjoy a fittness day. I really want to have one in my garden then I and my sisters will gonna have so much fun with this. This looks like it would be a serious blast! My kids would love it. I remember getting hurt multiple times on my trampoline as a child. This is definitely handy and much safer! Yes, this is so much safer! How cool is that? The kids are really having it easy nowadays! LOL, what a cool addition to a trampoline huh? That would be so much fun! I love the idea! It makes being active a lot more fun. 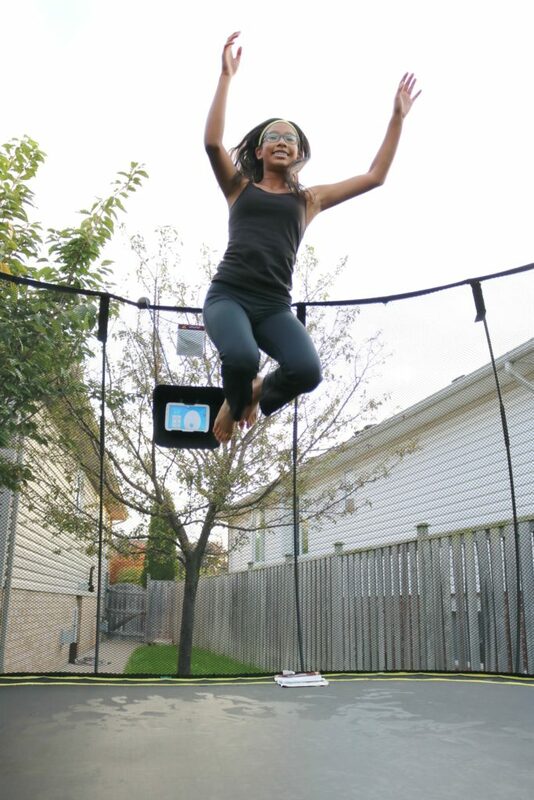 This Springfree tgoma device and trampoline is something I know my niece’s kids would love. It is awesome that there are games that the kids can play on the trampoline. Thanks for sharing the information. Yes, it is so cool. My pleasure, thanks for reading. My daughter has been BEGGING me for MONTHS for a trampoline. I think I’m going to surprise her with one for Christmas. I will definitely check this one out because I’ve never heard of it before! Thanks!